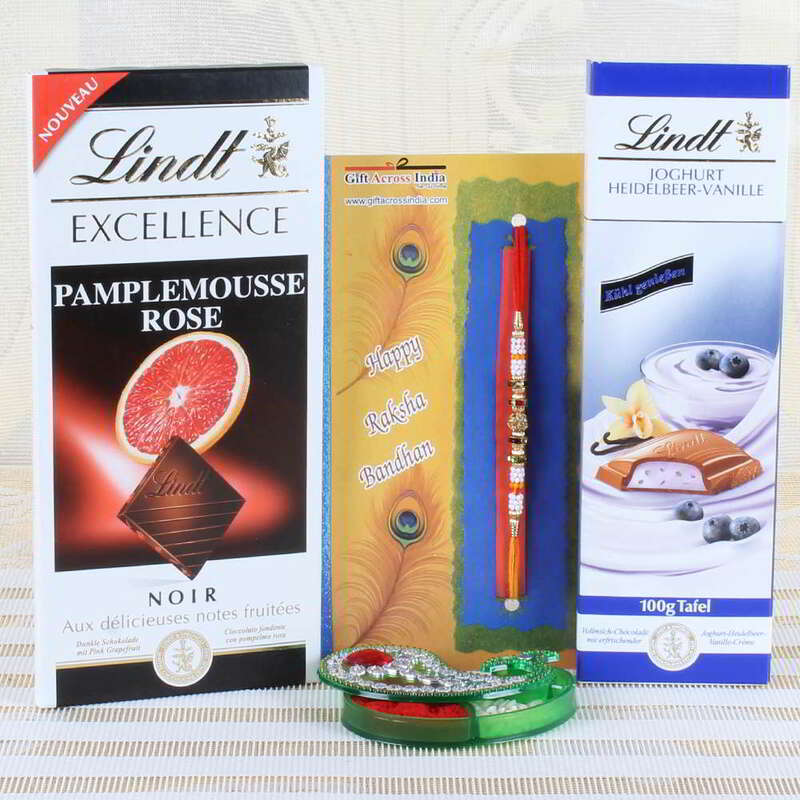 Product Consist: Lindt Heldelbeer-Vanille Chocolate (Weight: 100 gms), Lindt Excellence Pamplemousse Rose Chocolate (Weight: 100 gms), Tiny Pearl Beads Rakhi along with Roli Chawal Container. Raksha Bandhan is a beautiful festival for both sister and brother. It is the special occasion where sisters bring about the best rakhi to present to their brother with love and care. A rakhi brings much happiness for sister and their brother. Celebrate this occasion by sending individual threads to your dearest brothers. 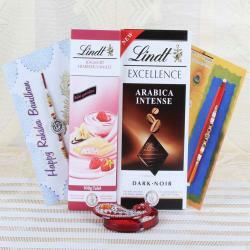 Gifting the unique Rakhi sets through leading sites for this year will bring out more happiness. 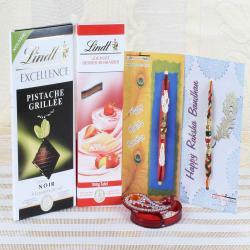 The combination of rakhi and chocolates are now available in many online stores. 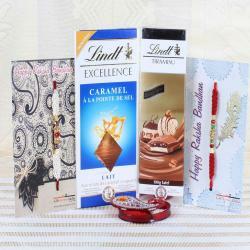 You have to choose the best variety of Rakhi and present it to your lovable brother on Raksha Bandhan. 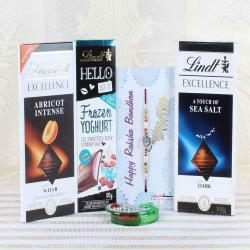 Product Consists of: Lindt Heldelbeer-Vanille Chocolate (Weight: 100 gms), Lindt Excellence Pamplemousse Rose Chocolate (Weight: 100 gms), Tiny Pearl Beads Rakhi along with Roli Chawal Container.